For the self employed, you know one important way to hold down your tax obligations is to find as many deductibles as possible. After all, you work hard — why allow Uncle Sam to take more money from you then “he” should? One way to limit your pay out is to buy a home. Unfortunately, one of the more difficult things for you to do is to document your income, something that most lenders required in today’s economic environment. A few years back, lenders would have issued no-documentation mortgages, but those practices died with the mortgage collapse of 2008. Home loan brokers will want you to substantiate your income in a number of different ways. If you pay yourself, then you can show your last two or three pay stubs as well as W2 forms for the past two years. However, that may not be possible for some self employed people particularly if you take money out of your business as a disbursement, not salary. Your checking and savings account statements for at least the last three months. Copies of your federal and state income tax returns for the past two or three years. A copy of your business’s articles of incorporation in addition to business checking account statements. Don’t worry about being rejected, especially if you have very good credit. Lenders are in the business of lending people money and they can only make money off of you if you borrow from them. Consequently, every loan applicant is treated as a possible client and lenders will bend over backwards to try to find a way for you. Keep in mind that your mortgage lender will obtain all three copies of your credit reports and credit scores from Experian, Equifax and Trans Union to help them make their determination. You may be asked to come up with a larger down payment, particularly if your income fluctuates. 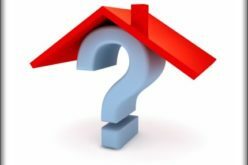 That doesn’t mean you won’t be approved for a home loan, rather that the lender wants you to assume a greater portion of the risk. Finally, if you are not getting the satisfaction you expect, try a different mortgage broker. Some brokers are very tight with their lending requirements while others are cautious, but still willing to take a risk on you if you have a track record of very good credit. Adv. – Mortgage interest rates remain near historic lows. Whether buying new and refinancing your current home, you’ll want to take advantage of low rates before inflation kicks in. 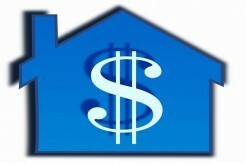 Please stop by PickMyMortgage.com or SayLending.com to find the best home financing options available.